Football season is in full swing and the fall festivals are kicking off. In just a few weeks, the weather will finally be cooling down and the beautiful colored leaves will start to fall. 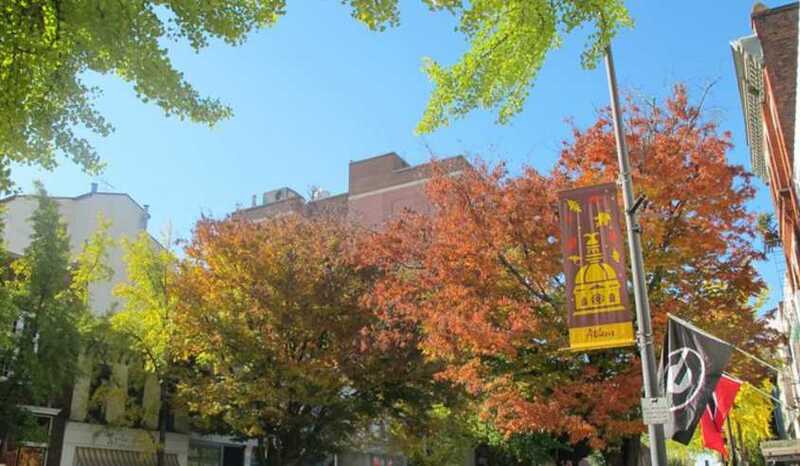 Fall in the Classic City is just around the corner! The next month promises a full calendar of music, entertainment, art and fitness events for the whole family to enjoy. It&apos;s the perfect time of year to grab the kids, load up the car, and take a fun-filled fall weekend trip to Athens! October 5, 4 - 7 p.m.
Athens&apos; finest local chefs will prepare locally produced ingredients sourced from the Athens Farmers Market for a truly amazing meal. There will be live music and a silent auction to accompany the delicious family-style feast. The guest of honor and speaker at this year&apos;s feast is Michel Nischan, founder and CEO of Wholesome Wave. All proceeds from the event benefit Wholesome Wave. Grab your tickets now for this special culinary event! October 11, 11 a.m. - 9 p.m.
Norman Blake will be headlining this exciting local Athens event featuring live folk and Americana music, plus unique arts and crafts workshops and activities for festival-goers of all ages. Kids events last from 11 a.m. until 3 p.m., while music will be played from 11:30 a.m. to 9 p.m. and arts and crafts demonstrations will be from 11 a.m. to 6 p.m. Admission to Sandy Creek Park is $2 a person, ages 4-64. Admission to the festival is $14 for adults, $7.50 for students and free for all children under the age of 12. October 11, 4:30 - 8:30 p.m.
Athens very own Terrapin Brewery will host the Hop Harvest Festival on October 11. The festival will feature the release of Special Release beer So Fresh & So Green, Green. Mouth-watering food, live music, and a wide selection of Terrapin favorites will make this year&apos;s festival one to remember. There will be eight special casks, each made with a specific hop, an artisan market with locally crafted trinkets and treasures, a community art project prepared by Dana Jo Cooley, and a number of other exciting surprises. Pre-sale glass vouchers will be $20 and they are expected to sell out. Five dollars of each sale will be donated to Dogwood Alliance. October 3 - November 1, Fri. & Sat. 8:00 - 11:30 p.m.
Zombie Farms returns to Athens this year for the month of October. A step beyond the typical corn maze or haunted house, guests will have the opportunity to venture out on a guided tour through a farm supported by the tireless labor of zombies. The half-mile Dark Trail will be filled with fog, eerie sounds and, of course, the undead. The farm is open Friday and Saturday nights throughout the month of October. Tickets are $20. For more information visit zombiefarms.com. The oldest and most famous road skate in America covers a fun, but challenging, 87-mile course, startng in Athens and winding through beautiful country roads and bustling city streets, ending in Atlanta&apos;s Old Fourth Ward Skate Park. For those skaters who aren&apos;t prepared to take on 87 miles, alternative 38-mile and 49-mile course options are also available. Kick off race weekend with the AthHalf Fitness Expo on Saturday, October 18, at The Classic Center in downtown Athens, Georgia. Lasting from 12-6 p.m., the Expo will provide individuals with discounted running and exercise merchandise, free samples of fitness products and several fitness- and wellness-related demonstrations and exhibits. The race winds through the historic streets of the Classic City, past major area landmarks, through the University of Georgia&apos;s campus and ending with a victory lap of Sanford Stadium. Music, scenery, and encouraging fans line the course making the 13.1 miles just a little more bearable! October 25, 10 a.m. - 5 p.m. The annual event features a variety of indoor/outdoor activities for all ages including an artist market with eclectic artist wares for sale, artist demonstrations, live music, kid activities, food vendors, live music and tours of the Ware-Lyndon Historic House Museum. In the spirit of Burning Man in Nevada, Wild Rumpus Halloween Parade has made its way to Athens. The downtown area transforms into a land of the undead, complete with a parade of unique costumes and fantastic live music. Participants are encouraged to get extremely creative with their Halloween costumes and may dress independently or as part of an already-existing, or newly created, costume brigade. The Monster Mash kids show will be from 1-3 p.m. at The Melting Point and the parade will start at 8:30 p.m. Follow the parade through the streets of the Classic City, ending with an after party at MAX Patio on Washington Street. This nine day festival will bring over 40 performing arts events to the Athens area. From Thursday November 6 to Friday November 14, attendees will be able to experience events and activities that include concerts, theater and dance performances, art exhibitions, poetry readings, author panels and book signings, lectures and discussions on the arts and creativity, and more.